El Anciano Rey de los Vinos is located in an area of ​​the city called “Madrid de los Austrias”. The name refers to the zone of the city that developed when the Habsburg dynasty reigned in Spain. Carlos I already ordered to build in Madrid diverse palaces and monuments. However the great development took place when Felipe II named Madrid as the capital of Spain, moving the Court from Toledo. The Teatro Real de Madrid, which is actually the opera house in Madrid. It is located in Plaza de Oriente, in front of the Royal Palace. It was inaugurated in 1850. The Almudena Cathedral, a fairly recent building, which was inaugurated in 1993, being consecrated by Pope John Paul II. The Council of State and Captaincy General, also very close to us, at the intersection of Bailén Street and Calle Mayor. 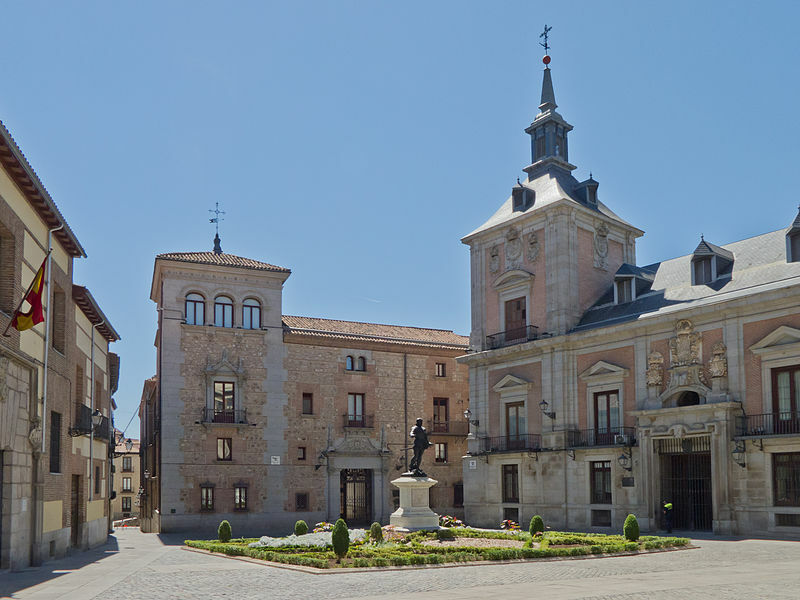 The Plaza Mayor where you can admire the House of the Bakery and the statue of Felipe III in the center of the square. El Mercado de San Miguel, a former trading place that was exquisitely restored and where many gourmet spaces can now be found. And of course, our world famous Puerta de Sol, authentic heart of the capital. And you know, before or after your visit we wait for you in El Anciano Rey de los Vinos so you can complete your visit savoring the most typical Madrid cuisine.